The No. 19 University of Wisconsin Men’s Basketball team (16-6, 8-3 Big Ten) will travel to Minneapolis Wednesday with a chance to do something they’ve been waiting on for the past month — avenge their home loss and beat the Minnesota Gophers (16-6, 6-5) on their home court. The Jan. 3 home loss was part of a five-game span during which the Badgers only earned one victory over Penn State. The mid-season struggles also resulted in the Badgers temporarily falling out of the AP Top 25. Now, the Badgers find themselves in the midst of a five-game win streak — with ranked victories over Michigan and Maryland — and back into the AP Top 25 with a No. 19 ranking. Extending the win streak to six will be no easy task, as the unranked Gophers have shown they can stop Wisconsin. They’ll also benefit from home-court advantage in the historic Williams Arena. If the Badgers want to have a chance to redeem themselves against Richard Pitino’s Gophers, they will need to learn from what went wrong in early January. 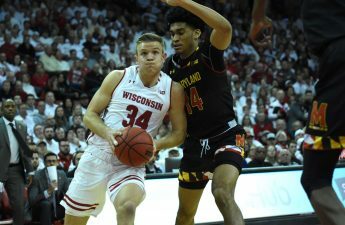 Wisconsin Head Coach Greg Gard will also look to find new ways to eliminate the Gopher’s offensive threats and score more against their defense. In the first matchup, the Gophers dominated almost every aspect of the game, disabling the Badgers’ ability to tie or lead at any point after the first seven minutes of the game. Minnesota was both offensively and defensively sound. The Gophers shot better at all levels, rebounded better, passed better and were able to shut down any production from Wisconsin’s usually stellar backcourt. One area that the Badgers didn’t capitalize on in the first meeting, but will look to capitalize on in the upcoming game is the individual matchups down low. Last time out against the Gophers, Ethan Happ dominated Minnesota big man Daniel Oturu on the offensive end. Finishing with 17 points on 8-of-13 shooting, Happ forced Oturu into foul trouble quickly and took advantage of the lack of size in his backups. 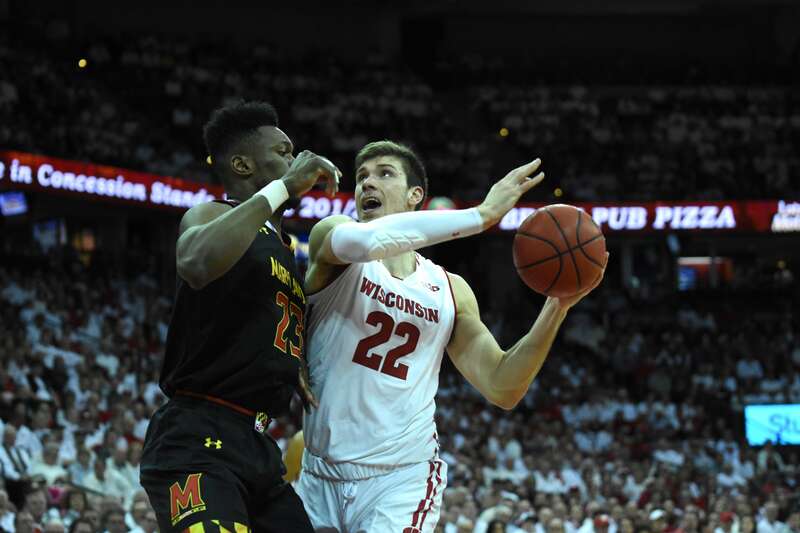 The All-American is obviously always a focal point for Wisconsin’s offense, and coming off an 18-point double-double against Maryland, he will be expected to lead the charge against the shallow group of big bodies that the Gophers have. For the very same reasons as Happ, Nate Reuvers will need to be more involved if Wisconsin wants to come out on top. Reuvers didn’t play great in their first matchup with the Gophers, but his size alone got him open looks against smaller Minnesota defenders. On the other end, both Reuvers and Happ were able to alter shots at the rim as they both recorded two blocks in the game. This is something that will need to carry over into part of Wisconsin’s defense to force Minnesota to beat them from deep. That’s where the backcourt defense comes in. Brad Davison and D’Mitrik Trice will need to be more prepared for the Gopher offense than they were last contest. The fast-paced transition offense Minnesota ran threw the Badger guards for a loop. The Badgers are better suited to defend a slowed down, half court game. Offensively, their ability to garner a better selection of shots should improve their dreadful 22.7 percent three-point field goal percentage that factored heavily into the Jan. 3 loss. Minnesota has previously dominated Wisconsin with their strong wing play, led by 6-foot-8, 210-pound shooting guard Amir Coffey, who dropped 21 points in the Kohl Center earlier this season. Coffey will be a challenging matchup for either Khalil Iverson or Aleem Ford. While Iverson has the strength and athleticism, he does not have the height. Oddly enough, those are the traits Ford lacks against Coffey, who was able to work an isolation move to get past Ford at will. It will inevitably take a team effort to take down the unranked Gophers, especially as it relates to help defense where Happ and Reuvers can disrupt shots, but a defender must be with Amir Coffey at all times. The Badgers will seek revenge and look to improve to their longest win streak of the season Wednesday night at 8 p.m. The game will be available to watch live on the Big Ten Network and available to listen to on the Badger Sports Network, 100.9 FM.